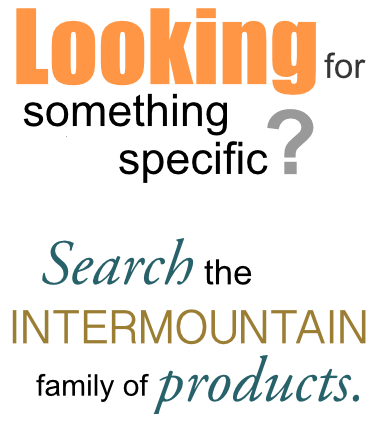 When contacting Intermountain Distributing Company on our site, as appropriate, you may be asked to enter your name, email address or other details to help you with your experience. We may use the information we collect from you when you register, submit an application for employment, surf the website, or to follow up with them after correspondence (email or phone inquiries). We only respond to requests for information, we never ask for credit card numbers, and we use regular malware scanning. All personal information is contained behind secured networks and is only accessible by a limited number of persons who have special access rights to such systems, and are required to keep the information confidential. In addition, all sensitive information you supply is encrypted via Secure Socket Layer (SSL) technology. We do not use Google AdSense Advertising on our website. We, along with third-party vendors such as Google use first-party cookies (such as the Google Analytics cookies) and third-party cookies (such as the DoubleClick cookie) or other third-party identifiers together. In order to be in line with Fair Information Practices, should a data breach occur we will notify the users via in-site notification within 7 business days. We also agree to the Individual Redress Principle which requires that individuals have the right to legally pursue enforceable rights against data collectors and processors who fail to adhere to the law. This principle requires not only that individuals have enforceable rights against data users, but also that individuals have recourse to courts or government agencies to investigate and/or prosecute non-compliance by data processors. The CAN-SPAM Act is a law that sets the rules for commercial email, establishes requirements for commercial messages, gives recipients the right to have emails stopped from being sent to them, and spells out tough penalties for violations. We only collect your email address in order to send information, respond to inquiries, and/or other requests or questions. • Honor opt-out/unsubscribe requests quickly, if applicable. • Allow users to unsubscribe by using the link at the bottom of each email, if applicable.